Have you ever wondered what keeps some married couples together for decades? Surely, mutual love, respect and shared spiritual beliefs are important to a lasting relationship, but possibly the most important factor is communication. Without communication neither person can learn about the other nor can they share their hopes and dreams for the future. 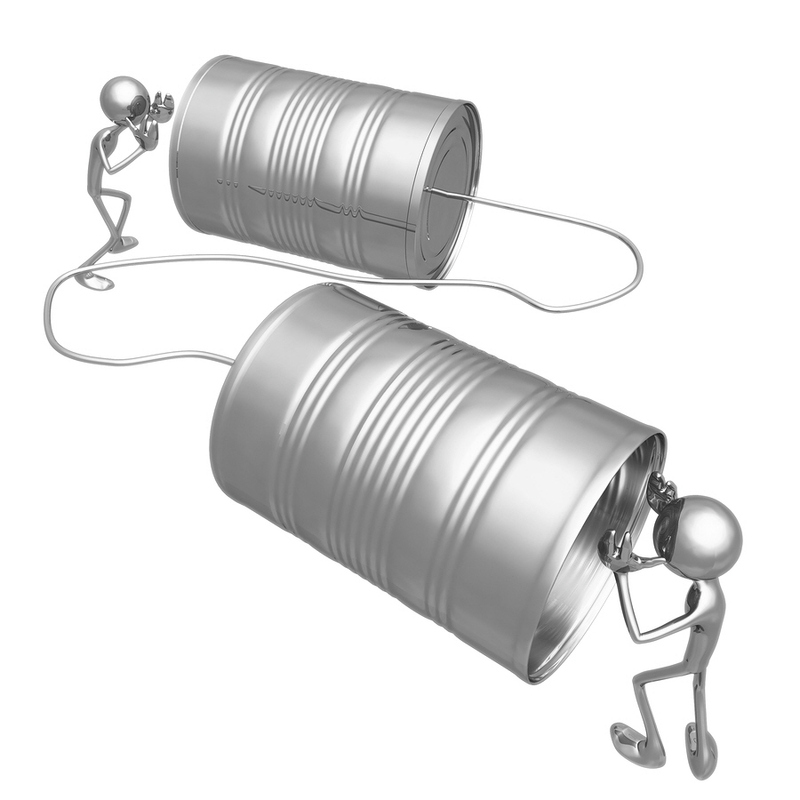 If communication is not the most important factor, then it is at least the most popular. Browse through any large bookstore and you will see titles promising to help improve your relationships by teaching you and your spouse to better communicate with each other. Regardless of whether you are from Mars and your spouse is from Venus or vice versa, if the two of you don’t communicate well, your life and your relationship are going to be challenging. If you do not believe me, try going a few days without communicating with your spouse. Can you think of all the disorder this could cause in your life? Who is going to pick up the kids? What time will dinner be ready? What ballgame does little Johnny have this week and where? Did anyone call and leave an important phone message? And these are just a few of the potential challenges you may incur. The success or failure of any sports team is largely due to its ability to communicate. In baseball for example, teams have developed their own type of sign language for communicating the managers’ instructions to the players. All that flailing of the third base coach’s arms and brushing the bill of his cap is his way of communicating to the batter to take the pitch, lay down a bunt or swing away. While that is going on, the pitcher and the catcher on the other team are communicating in their own sign language deciding which pitch to throw. If the batter misses the signal from the third base coach and takes the pitch when he was supposed to bunt, he could cost his team the game. On the other team, if the pitcher mis-communicates with the catcher, the results could be equally costly. Imagine if the quarterback for your favorite football team were to give his teammates the silent treatment in the huddle. How would any of the players know where to lineup, which routes to run, which direction to block, who the ball was going to go to or even what the snap count would be? This lack of communication would obviously reduce the chances of this team winning or even performing at its best. Obviously, communication is important in our relationships with others, both on the field and off. But there is more, communication is also an important factor in the quality of our internal relationships as well. For your body to reach optimal physical and mental harmony (what some refer to as “health”), you must have good communication throughout your nerve system. For your internal environment to function properly, your brain and body need to “talk” to each other via signals sent over the nerves in your body. Much like a failure to communicate with a friend or your spouse can cause disorder in your relationship, failure to communicate the signals between your brain and body leads to disorder in your body. Interference to the communication lines of the nerve system leads to this “failure to communicate.” One such type of interference is head/neck misalignment. Upper cervical care assists your body in correcting head/neck misalignment, thus restoring more ideal communication between your brain and your body. While upper cervical care cannot help you with your communication with others, it can improve the communication that takes place within you.